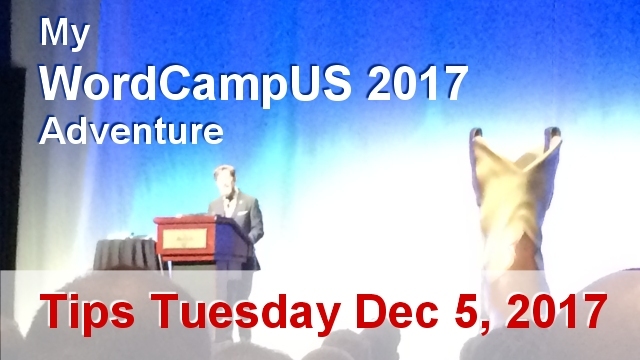 This is a special edition of Tips Tuesday with a report on my adventures at WordCampUS this past weekend, You’ll see and hear about all the super folks I finally got to meet in person and all the site success tips and news I picked up over the weekend. Plus, you’ll discover why I’ve come to agree that Gutenberg is truly the future of WordPress and the web. For all you podcast listeners, you’ll definitely want to visit the post so you can see the video clips I included. 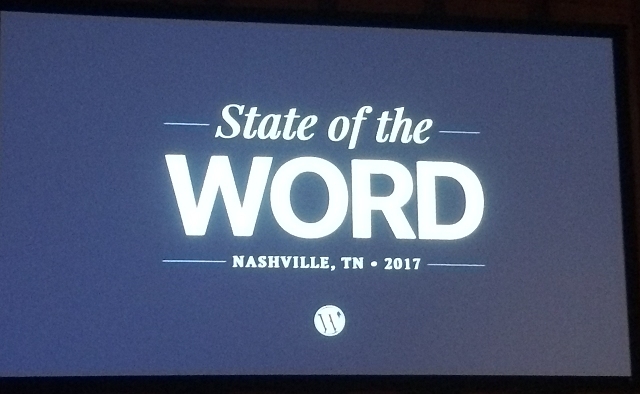 For me, WordCampUS 2017 can be summed up in 2 words – Relationships and Gutenberg. One of the biggest perks of attending conventions is getting to meet so many wonderful folks in real life (IRL). The very first person I bumped into at WCUS was Joost de Valk, creator of Yoast SEO!! 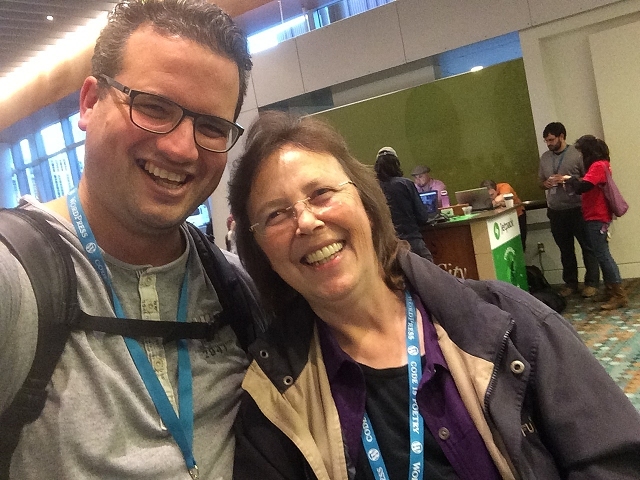 And then I got to chat with Team Yoast folks Annelieke van den Berg and Taco Verdonschot. The main thing I wanted them to know is how grateful we are for all the hard work, travel, and community support the whole team does on our behalf. And finally!!! I got to meet Bob Dunn (of BobWP ) in person. He and I started out with WordPress training about the same time and have grown our businesses out in different ways over the years. Bob is now specializing in e-comm site help. Genesis fans – I was thrilled to meet founder and creator, Brian Gardner! We didn’t get to talk shop much, but I do have a little inside info for you with regard to Gutenberg. Genesis won’t be releasing updates for it until Gutenberg goes through many more iterations. So, don’t wait on Gutenberg, or these updates, if you need to make theme changes, or get a new theme. And, I did get to ask him about standardization and better quality control on all StudioPress child themes, especially community themes. He said they are currently working on that, which I’m delighted to hear. At present, there is no way to tell which themes have been updated for the new usability standards supported by both WordPress and Genesis. That’s a big deal. I was delighted to have the opportunity to chat for a bit with several plugin and service vendors too. But, I didn’t have as much time as I would have liked at the event and missed speaking with a few important folks like Corey and the team from A2 Hosting. Sorry, guys!!! I did have time for a bit of shop talk with folks, but I gleaned most of the info I want to share with you from the 2 last presentations both days. THE biggest and best thing I learned about was Gutenberg. It was the main focus of the last two sessions both days. I’m so very grateful that I saw both of these presentations in person. My eyes are open and it all makes better sense now. Honestly, prior to WordCampUS, I didn’t have a clear understanding about Gutenberg. That, despite reading everything published about it that I could get my hands on. 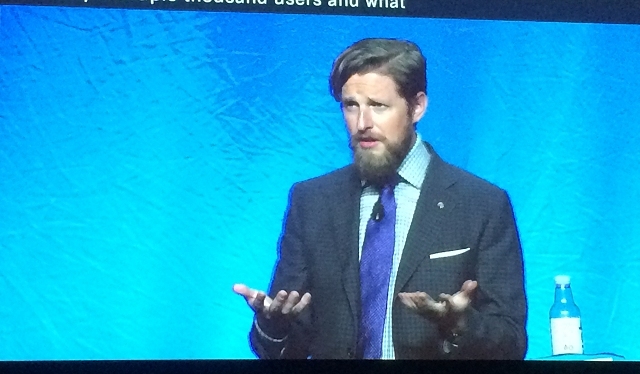 And then Matt Mullenweg’s State of the Word address, which also featured a live demo by lead dev Matias Ventura. It was exciting because we got to see several features that have not been made public yet. I think it’s super, duper important for everyone in the WordPress universe to see both of these presentations for themselves. It’s what opened my eyes, and I see the light, and it all makes sense now. Until then, read my post on Why I Believe Gutenberg is the Future of WordPress for more details. Here are the highlights of Matt’s address on what the WordPress community accomplished in 2017 and what’s in store for our near future. Want to get a sneak peek at the new Classic Editor plugin that will let us keep things the same as they are when Gutenberg rolls out? I plan to test this on my current themes to ensure it will work well for all that I do. My understanding is that TinyMCE Advanced will work with it, as well as the Gutenberg Text Block. I’m not sure if that integration is available for either yet. And I won’t put it on a production site until it is. Because Matt wants to keep a narrow focus for development only on the editor, Customizer, and Gutenberg, the dev team will not release a new default theme this year. It’s the first time that’s happened since 2010. But, I fully expect a TwentyEighteen theme to come out when Gutenberg rolls into the core with WP 5.0. And I bet it will be fully Gutenberg optimized too. WP-CLI is the new Command Line Interface (CLI) for WordPress and WordPress became an official sponsor this year. It’s definitely something webmasters need to start learning. Devs are already using it like crazy and it’s great for those who are managing multiple sites. Now that the REST API is fully in core, Matt said he doesn’t expect too much more development on it at this point. He said there doesn’t seem to be a big demand for it among devs. And, I’m not sure we will see a lot of dev on this until we do get Gutenberg in the core. Automattic, the parent company of WordPress, purchased WooCommerce in 2015. There were multiple speakers and WooCommerce folks on hand at this conference. There are lively teams dedicated to the support and development of WooCommerce. So expect improvements and changes on it to continue in 2018. We won’t have to wait for WP 5.0 to start seeing new things in WordPress. Matt confirmed that they have plenty to add in minor releases to 4.9 all along the way. He didn’t elaborate on what those might be beyond, drafts, previews, and scheduling, though. One of the nice things about State of the Word addresses is the overview of accomplishments for the year. There’s been a 14% increase in the number of WordPress sites on HTTPS, bringing the total to 36.28% of all WordPress sites. I swear, I believe I did about half of those last quarter myself, hahahaha. Whew! Holy cow and about time!!! Matt highlighted a new service called Tide that will start digging deep into free WP themes and plugins and give them a score based on code quality. These will be automated tests, but that’s going to help them get through 40k plugins a lot faster. You can see a screenshot on this WPTavern article about how the Tide Score might appear right in the plugin’s snippet listing in the WP plugin repo. It may be a star rating right below the User Review rating. So this is great, as it is standardized and impartial. A beta version launched at WordCamp US and a plugin will be available soon. Matt stopped short of saying when this will go live, but we are all hoping for first quarter 2018. I was delighted to hear how the change to the WordPress Foundation announced last year went. In the 2016 address, Matt said that more donations would be given. In 2017 there were 3 programs that received $15,000 each, including Hack the Hood, Internet Archive, and Black Girls Code. And, the do_action events were hackathons held in Johannesburg, Beirut, Cape Town, and Montreal to help site owners there with development on their sites. I was very excited earlier this year when WordPress launched Hackerone, which is a hacker bounty program. If more hackers can earn money reporting about code exploits they find, they will be less tempted to earn dark web money by performing actual hacks. To date, 52 bugs were resolved from a total of 46 different people. And they had 39 payouts. That’s a super good start and shows a lot of interest from the hacker community to participate. I don’t know about you, but I feel more at ease with all these hackers working to keep our sites safer. Matt also announced a new Donate button on the Foundation site. You can contribute as little as $10/yr and that goes a long way toward sponsoring the programs I just mentioned. So, if WordPress is helping you make money, this is a great way to express your gratitude and give back on a global scale. Does WordPress.com already incorporate Gutenberg? I don’t follow what’s happening on WP.com directly, Mike. But I don’t think Gutenberg is native there yet, since it hasn’t been rolled into the core. The Gutenberg plugin has been available for some time, but I wouldn’t put it on a production site. State of the Word has been published. Thank you so much Kathy!!! I’ll get the post updated now.